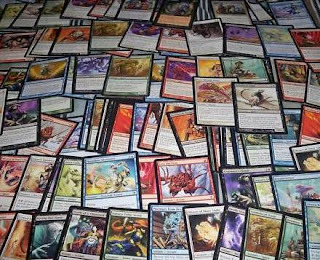 Well anyway, a recidivist robber is cooling his heels in a jail in Fairfax, Virginia after stealing 300 cards from the insanely popular game Magic: The Gathering in the possession of a self-described "nerd". Said nerd, one Kemper Pogue, proceeded to formulate and execute an elaborate trap toward recovering his cards. Which, incidentally, were worth $8000. After filing a police report, Pogue decided to do what a Magic character like Garruk Relentless might do, and hunted down his enemies with dogged ferocity — sans the battle axe. He started by posting a detailed message on Facebook to alert friends in the Magic community about the theft. 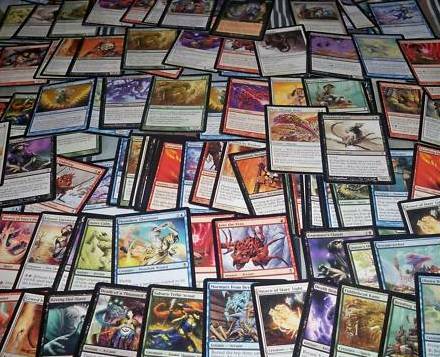 Then, he began calling stores in Northern Virginia and Maryland that specialize in selling Magic trading cards. Unless the thieves were big fans of the game as well, Pogue figured he knew something that the perpetrators didn’t: Despite its rapidly growing ranks, the Magic community is not only fanatical and obsessive, it’s also a tight-knit, nerds-only clubhouse, where information about players and cards circulates quickly via regional shops, tournaments and online forums on Reddit and elsewhere. The story shares how Pogue and his friends trapped two thieves in the store after working with local law enforcement to crack the case. It's a wild story and well worth your time to check it out. I've never played Magic: The Gathering. But I do know a lot of players who congregate at HyperMind and actively play, trade, all that good stuff. It is definitely a close-knit community of players around the world and I can't help but cheer stories like this. And it goes without saying: way to go nerds! !